Levelling an Ultimate off-road camper trailer is pretty easy. When you come to our showroom to do a handover with us we show you exactly how it's done. 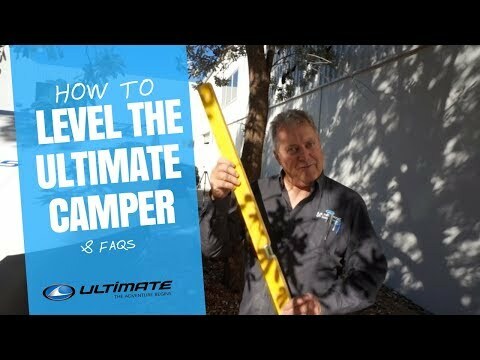 In this video Michael Hackett shows Emily how to level the the camper trailer in an extreme situation. This is a great step-by-step guide of the way we use the outriggers and jockey wheel to level the camper trailer when unhooked from your vehicle. Emily also goes through some levelling FAQs and we include a simple recap guide which you can screen shot and save for future reference.